Tomorrow morning the gates will open and hordes of people will walk into the Faire with the Nautilus on one side of them and Ursus Redivivus on the other. The bikers among them will have confidently parked their rides in the secure bike corral next to the main gate, and drivers will have paid $5 to park at Emerson School 2 blocks away at 4803 Lawton St.
Small appliances in need of help for the FIXIT Clinic. Those especially prepared will have checked out the amazing list of Makers here, looked over the schedule of presentations, workshops, and music here, and planned their attack. CNC (Computer numeric controlled) or “digital fabrication” tools—like 3d printers, laser cutters, milling machines—used to be so expensive that only corporations or big research groups could afford them. Then over the last 10 years, a whole new version of these tools become available to the hobbyist market. Either through pooling resources at a makerspace, or via one’s own credit card, independent makers had access to very powerful ways of making things for $5000 or $2000 or $750 and less. This enabled a whole world of people familiar with designing in visual design programs like Illustrator and Photoshop to take the leap via Computer Aided Design software (CAD), into porting their design files to physical objects. It also empowered a huge number of people living in code (software developers) to become makers, and develop hardware. It also meant that people could now share code via the Internet to make THINGS: hardware parts, gadgets, replacement parts, prosthetics, molds, etc. Thingaverse, for example, is a whole library of files for things—download, maybe tweak, and then print or cut! So Open Source Software evolved to Open Source Hardware. Add crowdfunding (e.g. Kickstarter, Indiegogo) to the mix and you’ve got an entrepreneurial revolution. This critical mass of influences and evolution is some of the special juice behind Maker Movement, and this is what Maker Faire and Make: magazine were first to articulate and celebrate. This year at the East Bay Mini Maker Faire, we have a great selection of companies and makers developing and using CNC or digital fabrication tools. Some will be grouped in our Digital Fabrication Zone on the map, and others are sprinkled about the faire. Bay Area Additive Manufacturing (BAAM) is a coalition of Bay Area companies engaged in 3D Printing seeking to make it as easy as possible to go from idea to object. BAAM does this by integrating products, services and solutions into a common, seamless user experience. Othermill, from Other Machine Co. The Othermill is a portable, easy-to-use CNC milling machine that is optimized for high-precision manufacturing. You can use the Othermill to make anything from your own circuit boards and Arduino shields to intricate wood carvings and metal engravings. The Othermill is made by Other Machine Co., a San Francisco-based company making design and manufacturing more accessible to all. Scan small objects and create 3D models with our scanner! We can train you how to use your mobile device to reliably capture photos that can be submitted to SoundFit to be turned into 3D models. TechShop is a playground for creativity. Part fabrication and prototyping studio, part hackerspace and part learning center, TechShop provides access to over $1 million worth of professional equipment and software. We offer comprehensive instruction and expert staff to ensure you have a safe, meaningful and rewarding experience. Most importantly, at TechShop you can explore the world of making in a collaborative and creative environment. FLEETedu delivers the technologies of the future on re-purposed public transit vehicles. We provide interactive digital arts and fabrication experiences to ignite the next generation. Unique laser cut wood jewelry that represents our Bay Area. I use a program called Corel Draw to design the art and then I go to the Tech Shop in San Francisco to use their laser cutter to cut! Have you ever made your own circuit on a paper? Let’s see and make circuits with our conductive markers and circuit printers, such as cards, origami works, speakers, and boards. 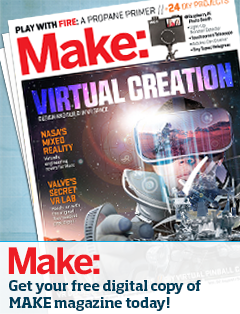 The official store of Make: magazine! Think of the coolest 1) technology bookstore, 2) museum gift shop, 3) arts & craft shop, and 4) electronics store you can dream up — now roll them all into one. It’s an irresistible collection of books, kits, robots, microcontrollers, science sets, electronics, tools and supplies, all curated by us, the people behind MAKE and Maker Faire. The Nautilus project is an artistic experiment and collaboration between Christopher Bently, Sean Orlando and the talented artists of Five Ton Crane. Inspired by the submarine in Jules Verne’s 20,000 Leagues Under the Sea, our version is full of delight and wonder. Visitors will be welcomed aboard to explore, and see what collaboration can create! The Nautilus is on here because these makers have leveraged digital fabrication tools extensively for other projects—for example, the Ray Gun Rocket Ship—for the internal structure. The time gained from digital fab meant they could focus more on the details and finish work that make the end piece so astonishing. Indeed, this technology is so pervasive that there are likely many more makers in the show that belong on the list. A good exercise would be to roam the show evaluating each exhibit to see where that maker may have leveraged this new toolset. If there’s one thing the City of Oakland is known for in the maker community, it’s the capacity to nurture large-scale art. Makerspaces / studio spaces like American Steel Studios and NIMBY house much of the big art pre-fab for Burning Man, and many artists working in large scale call these spaces home. 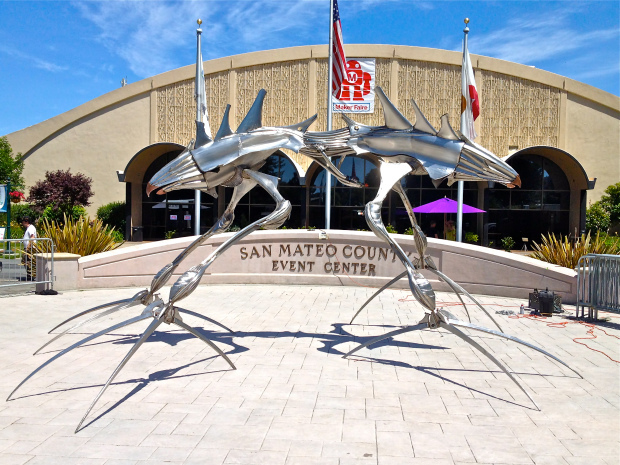 This year’s East Bay Mini Maker Faire will represent both those spaces through large sculpture installations by Orion Fredericks (based at American Steel) and then another, by artist Alex Nolan (based at NIMBY). Alex Nolan’s Ursus Redivivus is a nearly 12 foot tall monument of the extinct California Grizzly Bear—one with a bit of kinetic surprise if you get up close. 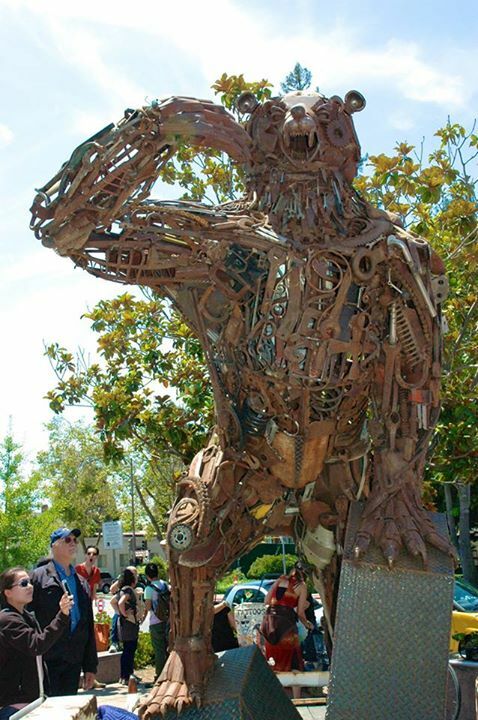 Ursus was a collaboration with artist Chad Glashoff and the Glasshoff sculpture ranch in Suisun Valley. Believe it or not, the Bear is a commission from the landlord of the Shattuck Ave. Walgreens in downtown Berkeley. 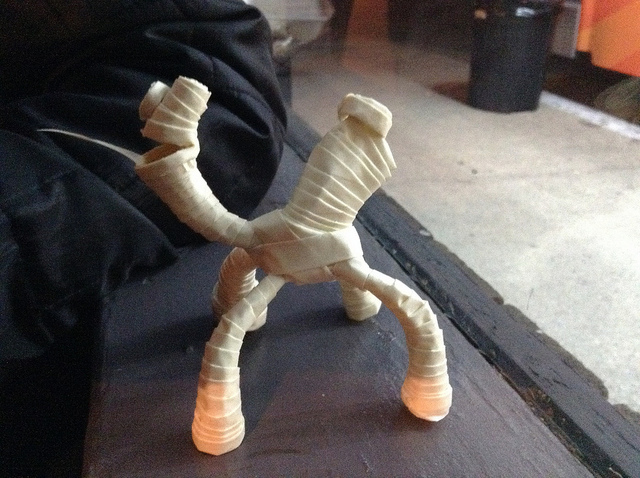 He asked Alex to build a sculpture from the scrap of the escalator that was removed during a remodel. Ursus Redivivus will be installed in front of the downtown Berkeley BART station in a couple of months, and will stay there for a year. Get up close to these big marvels and meet Orion and Alex this Sunday. Media Partners are essential for spreading the word about the East Bay Mini Maker Faire. 510 Families has been one of our media sponsors since our inception five years ago and we want to make sure all you families know about their resources. 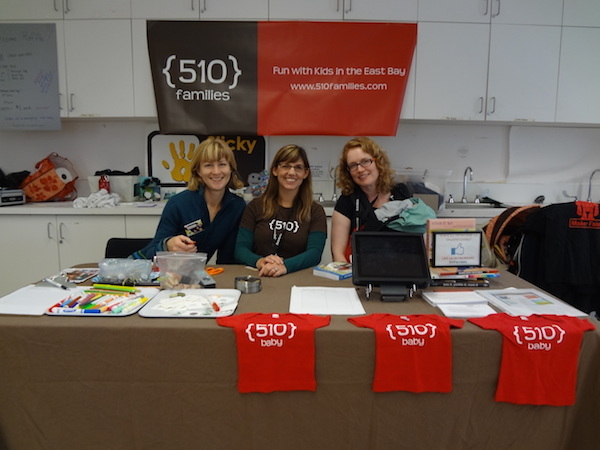 510Families.com is an online guide to East Bay family fun on a need to know basis. They feature the awesome places and activities (like the Maker Faire!) for kids and their parents along with helpful tips. They have a fun website and helpful newsletter featuring a calendar of events, news and articles and resources for parents, as well as special Summer Camp and Birthday Party guides. If you’ve been coming to the Faire with kids, you likely have met these ladies. Last year, 510Families got hands-on by parading around in Giant Cardboard Robot garb for fun photo opps, like the one to the left. 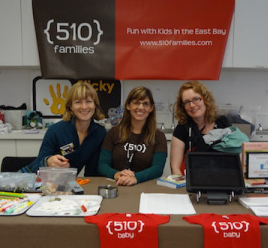 In other years 510Families joined Sticky Art Lab to make necklaces out of bottle caps….and other times they’ve sponsored craft zones and handed out info about all the coolest things to do with kids in the East Bay. More important than what they do the day of the Maker Faire though, has been all the ways they show up and get their readers through our gates and helping to raise funds for Park Day School’s scholarship program! Their readers and subscribers always turn out in droves and we are so appreciative! Thank you 510Families for extending your community and introducing them to our Faire. We hope to keep partnering with you for many years to come. The East Bay—Berkeley in particular—is pretty famous for being the home of ingredient-driven, quality food. So many great chefs, including many “graduates” of Chez Panisse, are making amazing food all through the East Bay. Kelsie Kerr is one such chef, though if you ask around, you might be surprised that you are not more familiar with her as a “brand name.” Kerr led the kitchen for many years at Chez Panisse, then co-founded Cafe Rouge on Berkeley’s 4th Street—where she was named one of Food & Wine’s Best New Chefs in 1997. She is also the co-author (with Alice Waters) of the bibles The Art of Simple Food and The Art of Simple Food II. Recently she opened Standard Fare Kitchen & Pantry in Berkeley (near West Berkeley Bowl), a one-stop fine take-away dining. I’m not a chef but I’ve eaten Kelsie’s food many times. Her food is sublime. It might be a Standard Fare tuna sandwich—but it is a tuna sandwich so fine that your jaw drops in awe: micro-sliced lemon on loose, light albacore with split green beans, aioli and arugula, on house-baked foccacia. Kelsie’s standards are high. 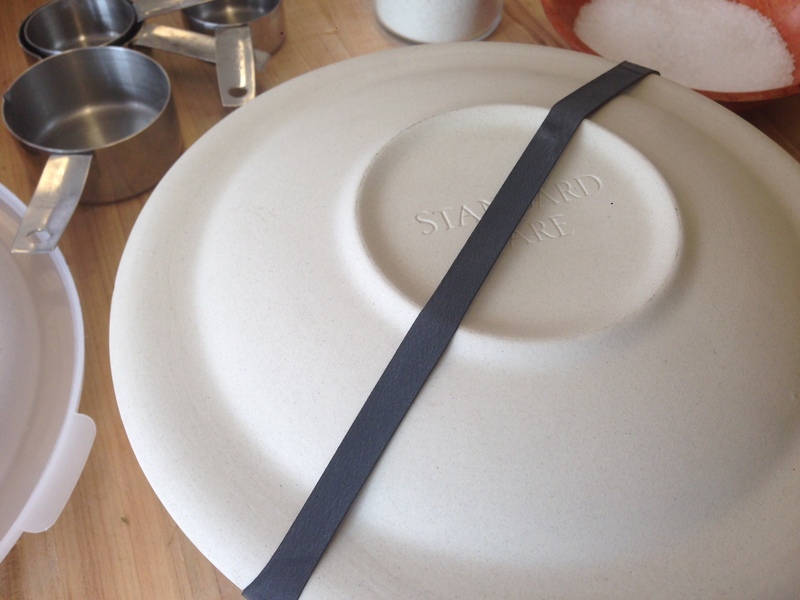 Another example: Kelsie collaborated with Berkeley potter Jered Nelson of Jared’s Pottery to design and create gorgeous ceramic terrines for the take-home vessel. The end result? Food that is not compromised by transport, is enlivened by re-heating, and is gorgeous to serve. Another level of take-out entirely. When I asked Kelsie how she identifies with the maker community, she said she gets pretty darn geeky about what she makes. “Like fresh shell beans: that there are 5 or 6 kinds, all different and exciting, they each taste certain ways, and are only available at certain times from only certain farmers.” She’s passionate about what she makes, and her materials. Her favorite tool? A good light, sharp 8” knife. So clearly we are more than excited to have Kelsie teach minestrone on our Homesteader Stage this Sunday. Minestrone may *sound* simple, even humdrum. But that’s Kelsie’s special trick! Don’t be fooled by it — make sure to be at the Homesteader Stage (just inside the 42nd Street gate) this Sunday at 1 PM! Also — take a look at the complete lineup of workshops and demos on the Homesteader Stage—and get your tickets in advance to save $ and time at the gate. A room-filling surreal miniature landscape made from… masking tape? 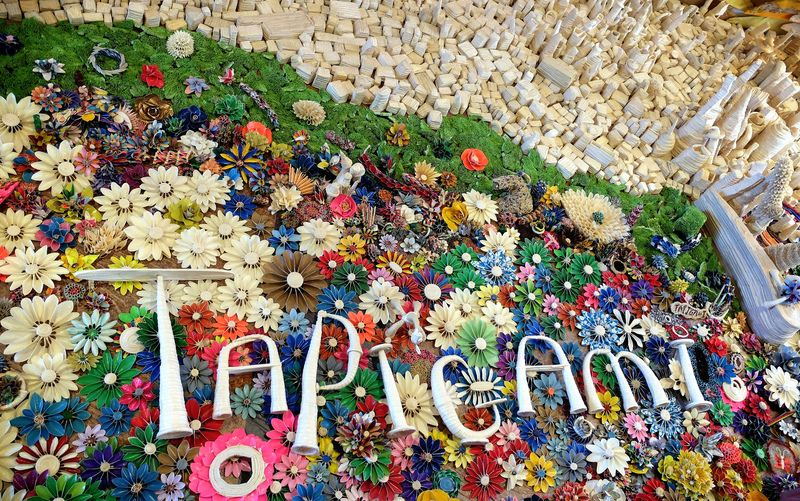 Words cannot possibly do justice to the installation of imagination that is Danny Scheible’s Tapigami. Come experience it in person (Studio One 2nd floor!). And once you have caught your breath, try your hand at creating, and become part of the art. Get your tickets now! Sunday is nearly upon us. I always get giddy this time of year in anticipation of the East Bay Mini Maker Faire. It is an explosion of learning, creativity, inquiry, art, play, experimentation and FUN! My interest is not only as a parent, but as an educator. I work at the George Lucas Educational Foundation, and our mission is to help improve the learning process by sharing “what works” in education. Over the years I have seen a lot of solid and innovative practices that are transforming how our kids learn. But the one that I am the most excited about is making. Here are 5 reasons why. Making creates authentic experiences for learning. Say my daughter decides she wants to build a go-kart. She has to use algebra and trigonometry to design the kart’s body, and physics to calculate the gear ratio for the drive-train. No algebra/trig or physics, no kart, right? So she not only has to learn, she has to apply the learning. And she’s motivated because she really wants to finish this go-kart.When it’s done, you can bet she is more likely to remember these principles than if she’d done it on a worksheet. Plus, now she gets to ride around the neighborhood in a bitchin’ ride that she made herself! Making deepens social and emotional skills. It teaches kids how to solve problems together — how to collaborate. I talked to one educator whose 4th-graders did a unit on Transcontinental Railroad – they established an “East vs West” contest, with kids competing for the best train designs. The teacher was struck how the kids were so much more interested in improving their designs so that the best one would win, rather than getting competitive and infighting against each other. Making is not just limited to science, tech, engineering or math (STEM). Projects like the Transcontinental Railroad one above can bring humanities and social studies to life, too. Making teaches kids how to fail. That is not a typo. Learning how to fail — and pick yourself up, reflect, and make another attempt — is crucial skill for navigating our ever-shifting world. Making builds resilience via the process of prototyping – trying things out, testing, and redesigning which is SOO IMPORTANT so that kids don’t shut themselves down in the face of failure.I was visiting a maker camp over the summer that had this idea of “marvelous mistakes.” It actually brought a tear to my eye to hear those kids talk so proudly about their mistakes, what they learned from them! Making is accessible to anyone. If you want to bring making to your kids, it’s pretty easy to get going. You don’t need a fancy lab or fancy tech though those are springing up around the country in the form of TechShops or Fab Labs. The internet is chock full of resources, too, as well as online maker communities. All you really need is curiosity and the ability to let your child explore and try things out and fail a few times. One thing we know for sure is that we have no idea of what the future will be like for our kids. I have seen making change the lives of students in districts and schools and classrooms and after school and in summer camps around the country. I have seen it turn lives around and build resilience, collaboration, creativity, critical thinking, communication, problem-solving in kid from all social, economic, and geographical backgrounds. 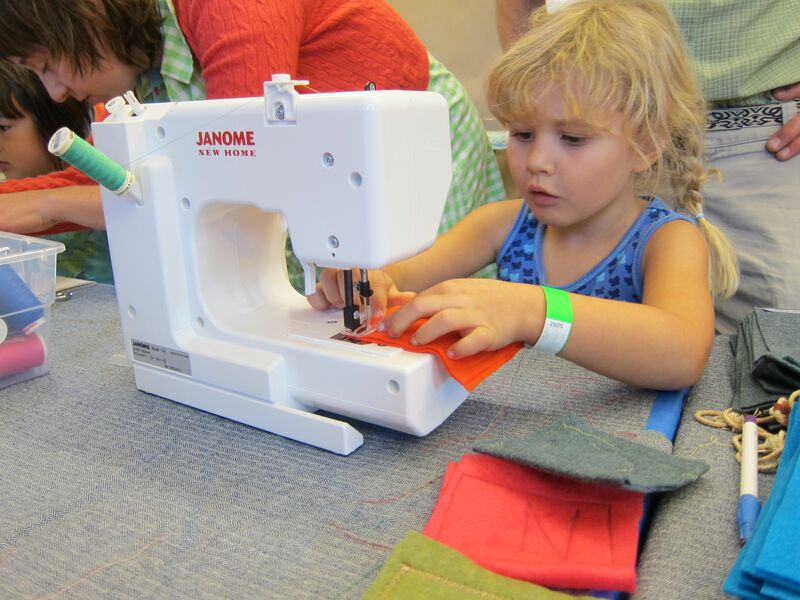 So this is why I am so geeked about the East Bay Mini Maker Faire. Hope you can make it! Because a Screen Print Makes Everything Better! 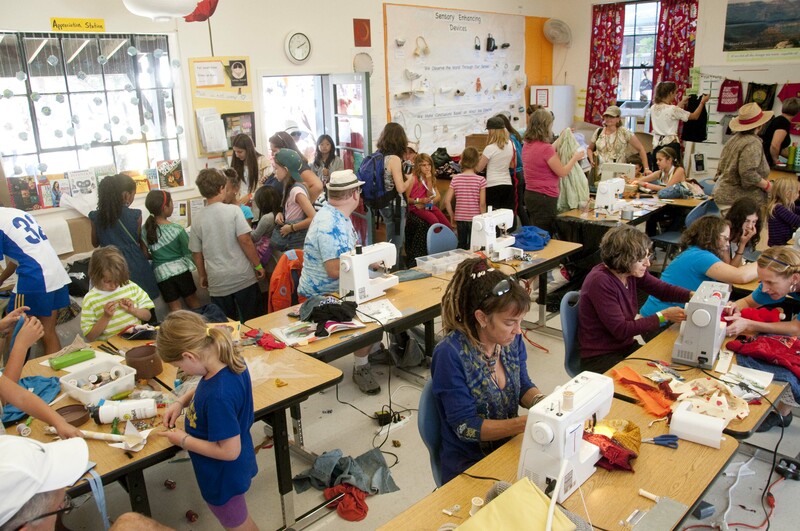 The SWAP-O-RAMA-RAMA is a hive of activity at the East Bay Mini Maker Faire. It’s chock full of amazing, hands-on, textile-related hacking opportunities. You can swap clothes of course (bring some to donate!) and you can refashion and repurpose fabrics and clothing into new-fangled creations of any sort–costumes, clothes, jeans purses, banners, stuffies…you name it! One of the perennial highlights of the Swap zone is the screen printing booth. This year, local printshop The Grease Diner is coming to assist you in adding screen-printed embellishments to your t-shirts, bags, scraps of fabrics, jackets, bags—whatever you think needs some style. 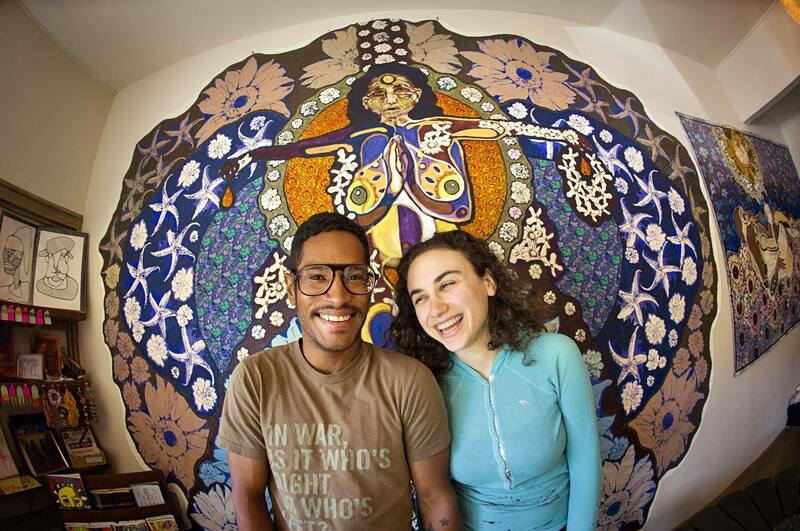 The Grease Diner is the project of husband and wife duo Jon Jon Cassagnol and Laurie Shapiro. The two began the space as a gallery for Laurie’s large scale textile paintings, and have expanded to include a one-of-a-kind gift shop and DIY screen printing studio. The Grease Diner a great resource for makers of all ages to screen print their own designs. They also offer events and classes, and have cool gifts by local artists. 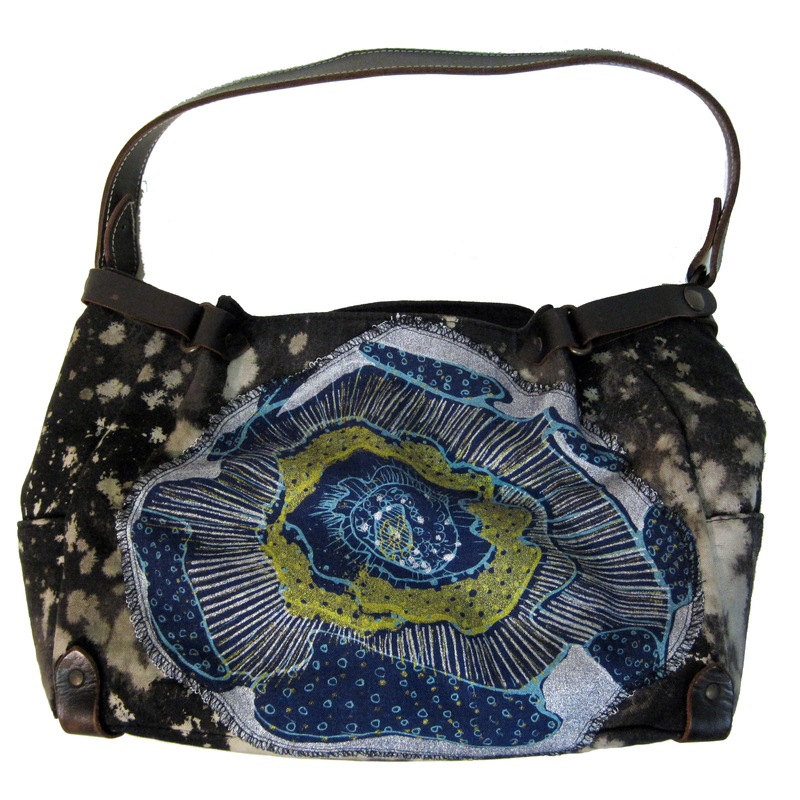 Check out this upcycled pocket book: acid washed with a custom screen print sewn on. Bring something to screen, or dig through our donations to see what you can find to use. 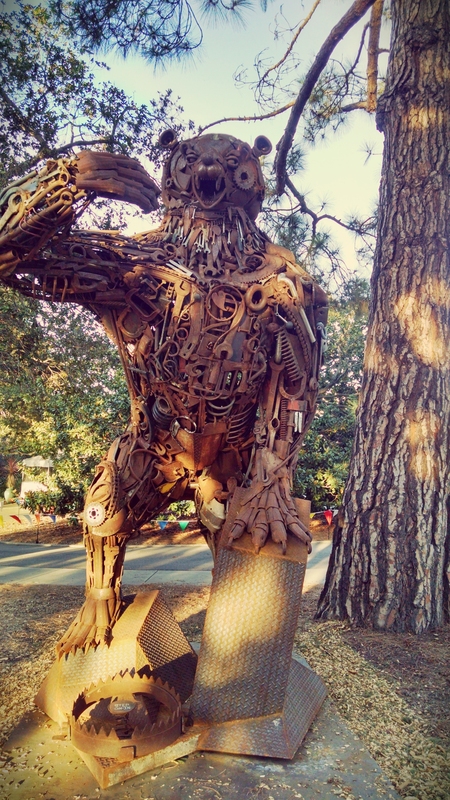 The 5th Annual East Bay Mini Maker Faire is almost here! What’s happening at the Faire this year? More than ever! If you missed your chance to try Cratestacking last year, it’s back. You won’t believe Saurabh Narain’s Rubik’s cube solving robot, or the fun of caged drone combat at Game of Drones. 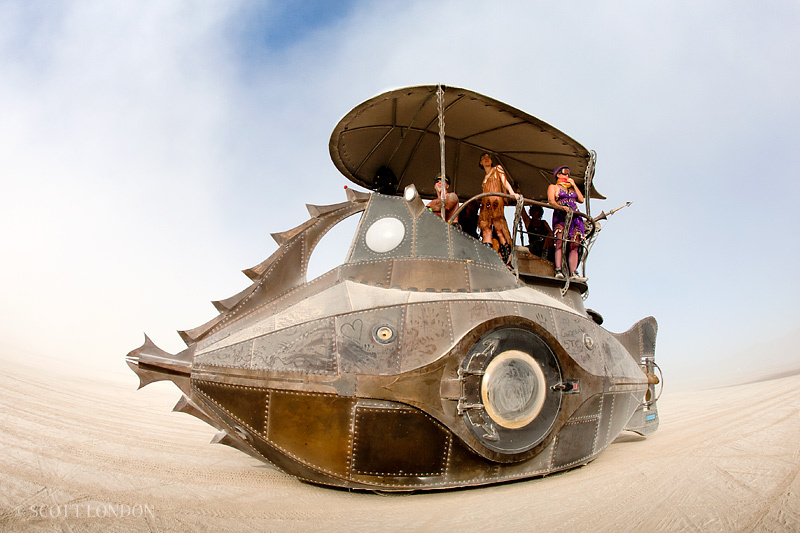 We are thrilled to welcome Five Ton Crane’s jaw-dropping art car, The Nautilus. Tons of hands-on making, as is our standard: screen printing at the Swap-O-Rama-Rama, Japanese paper marbling, seed bombs, the Nerdy Derby, tape art with perennial favorite Tapigami, and lots more. The latest in digital fabrication, with TechShop. OtherMill, TypeA machines, BAAM, and the FLEET digital design & fabrication lab—a repurposed MUNI bus! 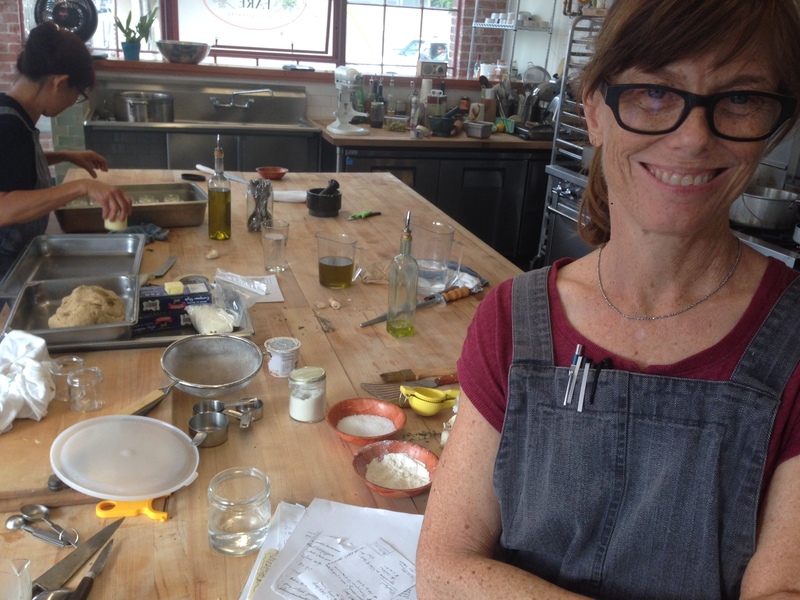 Culinary and domestic arts workshops, like minestrone with renowned East Bay chef Kelsie Kerr, and pizza with Pizzaiolo’s David Surcamp. Plus pedal-powered carnival rides, bands, food trucks, bioscience, electronics, art, craft and more more more! There’ll be over 170 Makers/Presenters/Performers, so check them out here, and then check out the schedule of presentations throughout the day. Enjoy exploring all the Faire has to offer this year, but don’t forget to come back to ebmakerfaire2014.eventbrite.com to buy your tickets before its too late!